It would be easy to list every musical happening of worth in our scene from 2018-Grammy Winner John McCutcheon, the incarnation of the Drum Love Drum Circle, the first annual International Woman’s Day Music extravaganza, the incomparable Porchfest, the Buddy Holly Tribute, Red Tie Arts’ phenomenal concert series, the Sensations reboot, Bikes and Blues for Shoes, Music on the Plaza, Dia De Los Muertes de Modesto bringing musica suavecito to THOUSANDS of folks, Zasu Pitts Memorial Orchestra conquering the MAMA awards like no other before, brave, steadfast Modshop Buskers and the Rockin Holidays! Although December ushers in a finale of sorts, we get a jump on what the future holds in local music. On Saturday, December 15 a very special benefit for Inter Faith Ministries of Greater Modesto will bring a unique stable of uber talented musicians performing tasty, eclectic personal versions of holiday music (see the many A Very Special Christmas album collection for reference). This all ages concert will be hosted by owner Lorena Loftis and the staff at Deva Cafe. Downbeat is at 6 pm and 100% of the $5 gate fee will serve families in need via the IFM agency services. Enjoy fantastic music by artists like Neil Buettner, Ava Merchant and Willie Hines- just to name a few. 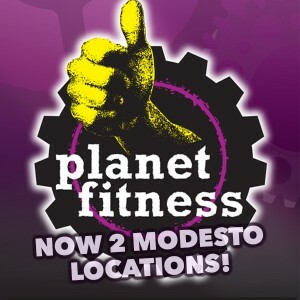 Reservations strongly suggested. Most every Songwriter found their voice as a choir member in their musical history. For a true treat in acoustic harmonies, attend the Gallo Choral Christmas celebration on December 14 and 15. 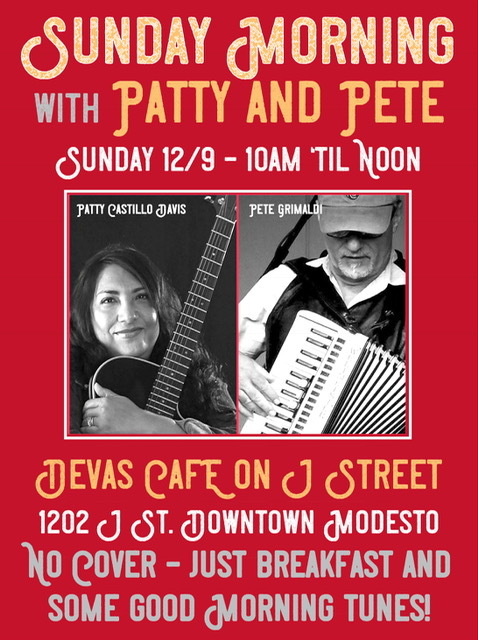 Deva Sunday Breakfast Music is bringing back the powerhouse Americana combo of Patty and Pete on December 9 from 10am to noon. These pilots of two beloved Roots bands-The Patty Castillo Davis Band and Blues Box Bayou Band will play their combined brand of Bluesy-Folk on the Bayou with some bilingual and holiday tunes thrown in. It’s with a heavy heart we say goodbye to those who’s music entertained us, gave a voice to a cause and created limitless beauty for us to enjoy into the future. Let’s just LINGER and give them RESPECT. Adieu.